We Won Best Mountain Bike Friendly Accommodation 2017 !! Blessingbourne Estate, Fivemiletown are thrilled to have been awarded the much sought after Best Mountain Bike Friendly Accommodation 2017 in the prestigious MountainBikeNI awards! 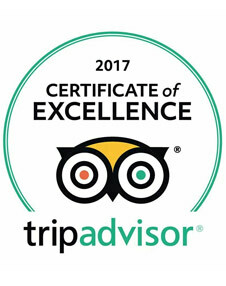 Blessingbourne is enjoying a ‘trail’ of success having been awarded “Favourite MTB-Friendly Accommodation in Northern Ireland” last year too! A promotional video of facilities at the Estate produced in conjunction with MountainBike NI and Tourism Ireland has accumulated tens of thousands of views over a short period of time. 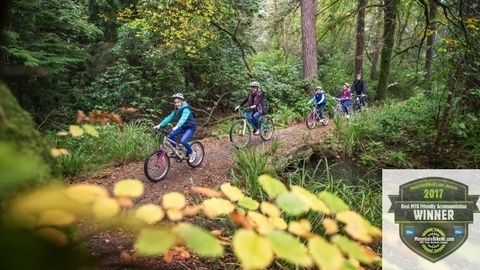 Blessingbourne Estate’s Mountain Bike Trails were designed by Architrail’s Phil Saxena, who also designed trails for the Beijing Olympics and the Downhill World Cup. Catering for all ages and abilities from complete beginners to those searching for that all important adrenaline fix, the blend of beautiful blue trails to the dramatic red/black technically challenging loops trails has something for everyone to enjoy. The snaking single-track has lots of trail features including jumps, table-tops, berms, rock-gardens and drops; and chicken-runs for the kids and the faint-hearted, of course! Our Award Winning Self Catering Accommodation lies nestled in the heart of the Estate’s historic courtyard. The collection of 5 self-catering apartments are ideal for family breaks, adventure seekers, romantic breaks and groups. Guests can enjoy a relaxing country estate experience!